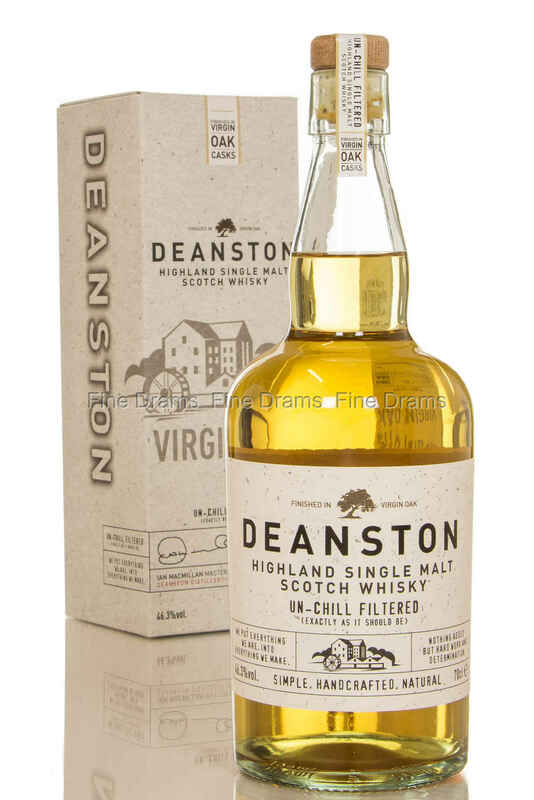 This single malt from the Deanston distillery is a marriage of young whiskies specially selected to be married together and then finished in freshly charred virgin oak barrels. As per Deanston tradition, they have left out the chill-filtration and bottled it at 46.3%. Nose: Light key lime pie, slightest whiff of smoked oak, and a lot of honey. Palate: Again, plenty of citrus, a nice freshness about this, some salted caramel, then thick clotted cream and slightly astringent oak. Finish: Medium, oaky with a nice amount of spice. Overall: Excellent balance. Often these drams can come out like a scottish bourbon, but this is not one of them, matching the cask carefully with the spirit to produce a spritely, fresh, citrus whisky.